We know that your household appliances serve as a major convenience and comfort in your home. Without them working properly or efficiently, it can put a serious burden on your shoulders. From wasted time to thrown away money, you may find yourself stressed out due to these appliance troubles. The good news? Our team is here to take care of it. Our technicians can handle nearly any brand, make, model, or type of appliance on the market! Whether you have a brand or an older appliance, we’ll make sure you get the repairs or maintenance you need. We offer free service calls with repairs! Contact us at (269) 487-9513 to schedule an appointment. 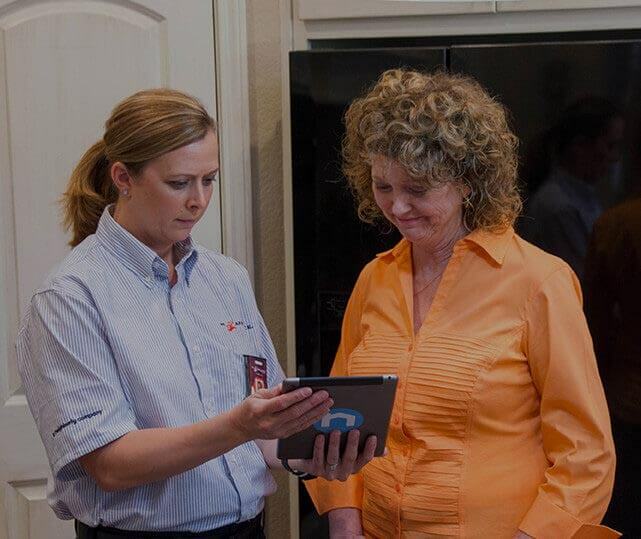 When it comes to getting your appliances repaired, you want to work with a team that you can trust. That is exactly what you will find at Mr. Appliance® of The Twin Cities. We take restoring your appliances seriously, doing everything we can to deliver a superior experience. Our team also respects your home and your family, upholding our “leave no trace” policy whenever we work on a home. That means you won’t even be able to tell we were there other than your fixed appliance! From broken down refrigerators and ovens to malfunctioning washing machines and dryers, we can handle it all. Do not hesitate to give us a call today to discuss your appliance needs. $10 OFF 5 Year Advantage Plan Membership Not valid with any other offers or for diagnostic fee. Valid at participating locations only. Limit one. Locally owned and independently operated franchise. $99 Inspection of All Appliances Not valid with any other offers or for diagnostic fee. Valid at participating locations only. Limit one. Locally owned and independently operated franchise.